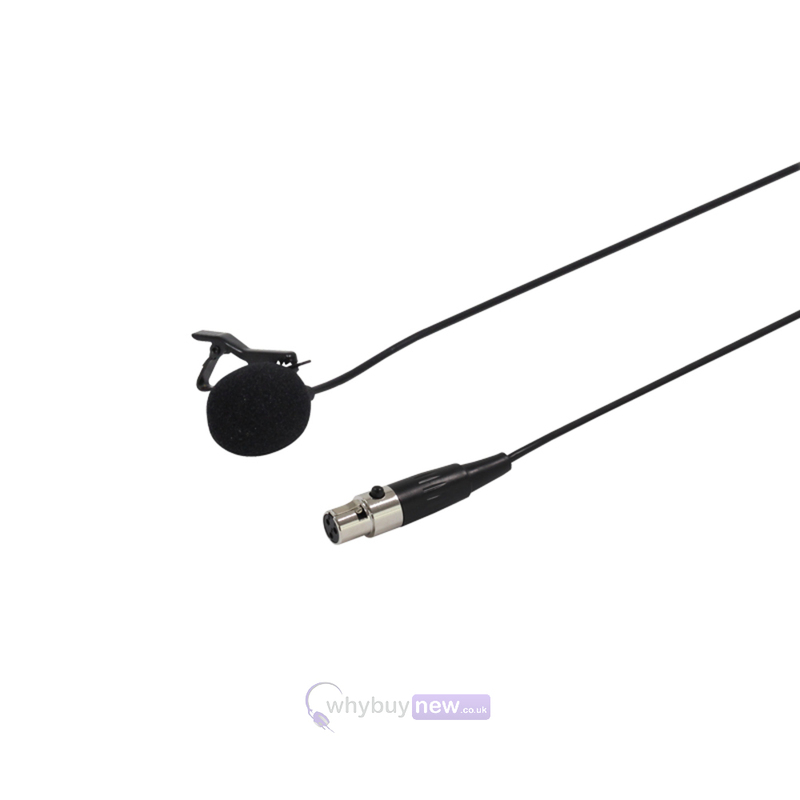 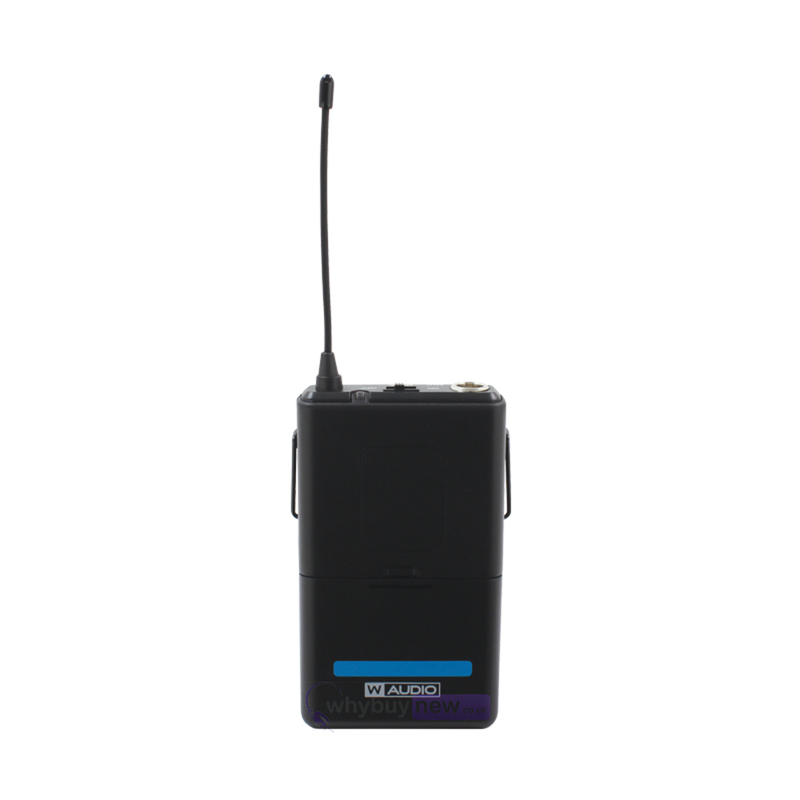 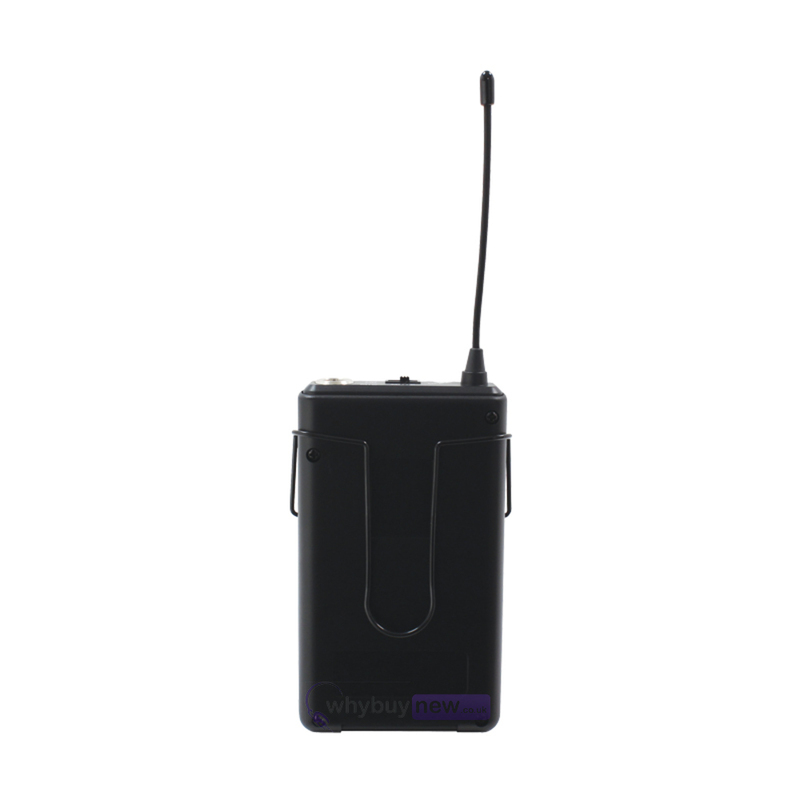 The W-Audio RM Quartet Beltpack Kit is a beltpack transmitter kit that includes a headset microphone and a lavalier microphone and works with the W-Audio RM Quartet Handheld Radio Microphone System. 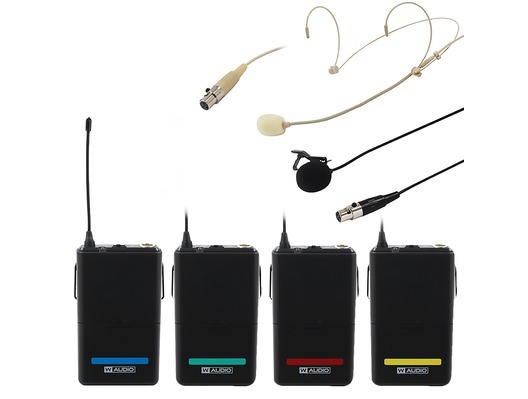 The replacement microphones come in 4 colour coded frequencies: 863.42Mhz (Blue), 864.99Mhz (Red), 864.30Mhz (Green) and 863.01Mhz (Yellow). 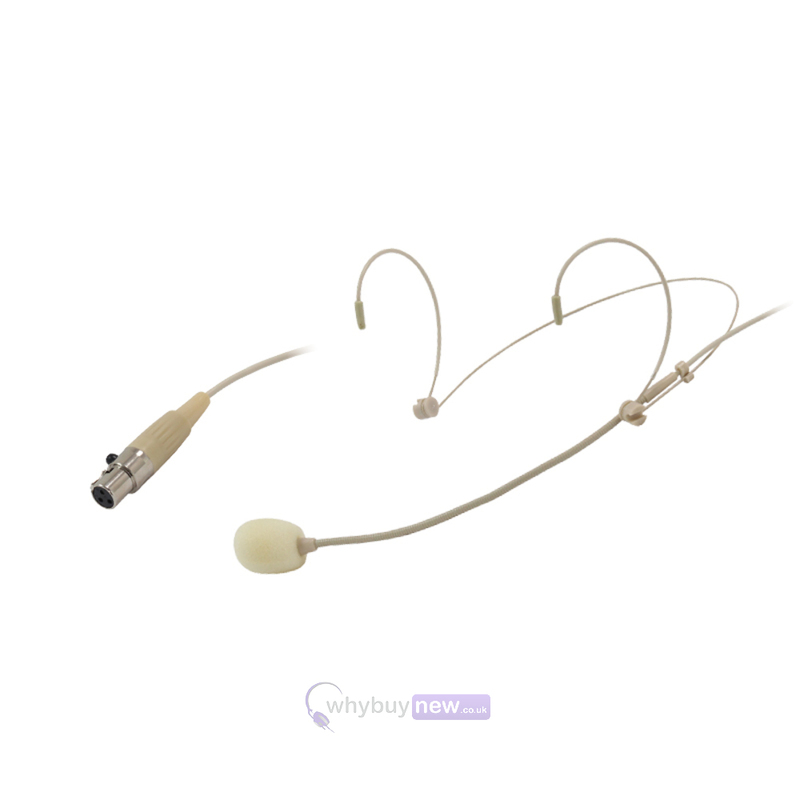 Please choose the colour and frequency you're after from the drop down list. 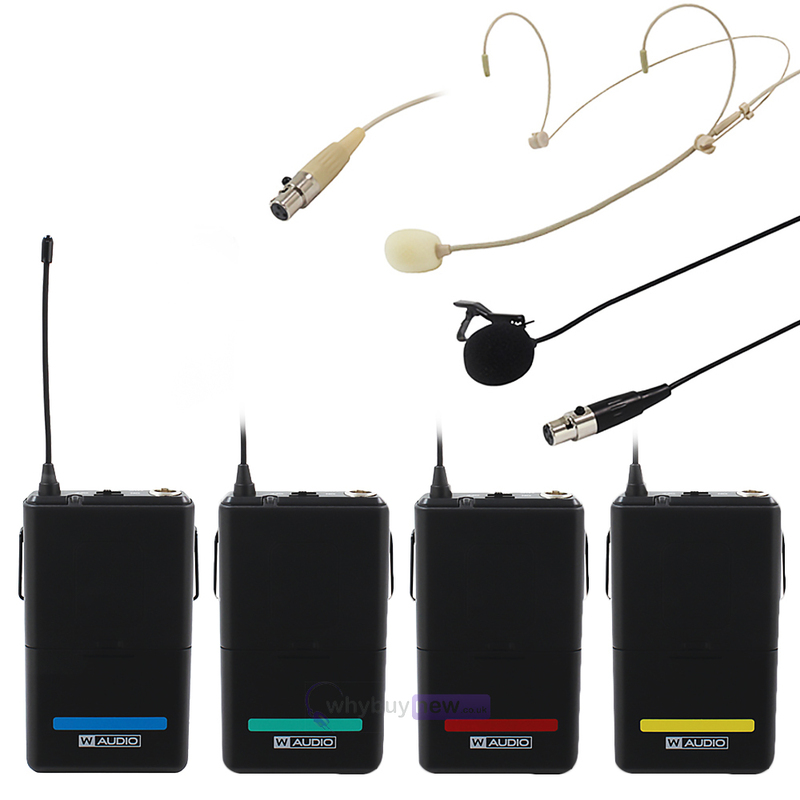 The main images shows all 4 colour choices, you will only receive one beltpack transmitter.